As a food bank, Feeding America West Michigan's purpose is to gather food and distribute it to partner agencies who ensure it ends up on the plates of neighbors facing hunger. Nearly 1 in 6 children in West Michigan and the Upper Peninsula face food insecurity and the health risks that come along with it -- that's around 83,000 children. In 2018, Feeding America West Michigan distributed more than 25.1 million pounds of food -- equivalent to approximately 21 million meals. Sources: Map the Meal Gap, Hunger in America and internal data. For many children, summer vacation is filled with bike rides, beach visits and a whole lot of “nothing.” Helping out in grandma’s garden might be included on this list of to-dos, but for 10-year-old Olivia, her grandma’s flower garden is more than just a fun summer activity; it’s a way to raise money for those in need. As one of Feeding America West Michigan’s youngest donors, Olivia proves that anyone can make a difference, no matter their age. She donated $100 to help feed families facing hunger in her community. 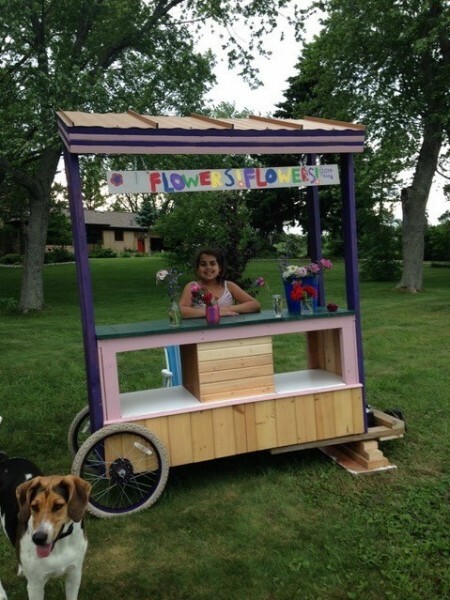 Each year, with the help of her grandma, Olivia sets up a stand to sell the flowers she nurtured all summer. Olivia’s garden grows a variety of flowers, including her favorite – dahlias – which she makes into beautiful bouquets to sell to her customers. After combining all of her proceeds from the summer of 2018, she chose to donate a portion of the profits to Feeding America West Michigan. She first learned that there are people just like her who face hunger when her school participated in a food and water drive during the Flint water crisis. Later, Olivia’s school helped decorate bags of food for Kids’ Food Basket, one of Feeding America West Michigan’s partner agencies. Olivia recalled these experiences while brainstorming ways to donate her flower money from the summer. 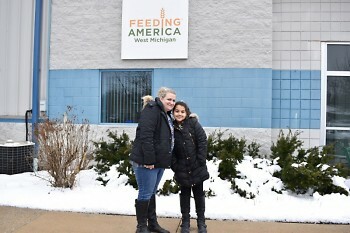 She brought up these ideas to her grandma, who suggested donating to Feeding America West Michigan. 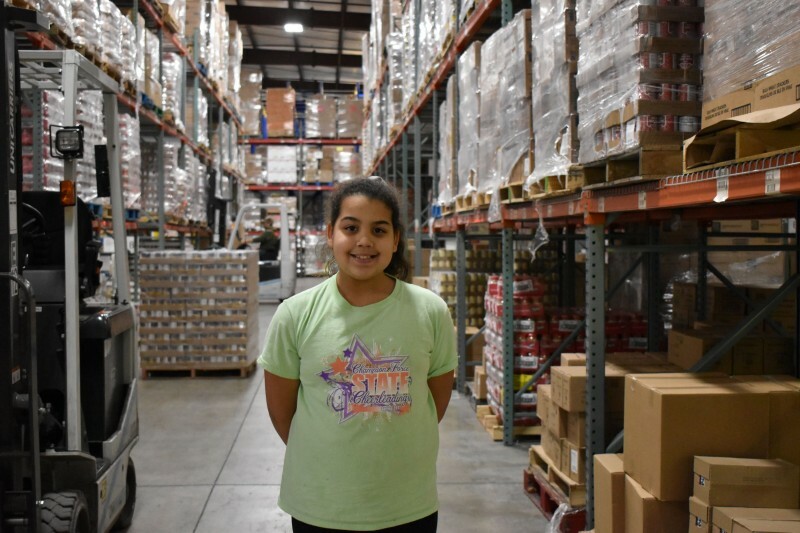 At the food bank, Olivia’s $100 donation stretched far: Since $1 provides four meals for those in need, Olivia helped the food bank provide 400 meals to families in its service area. “I learned I can be really useful and helpful even if I’m 10-years-old,” Olivia said. Out of the funds she made with her flower stand, Olivia put some toward next year’s garden, some toward Feeding America West Michigan and also bought Christmas presents for a six-year-old girl in foster care, through an Angel Tree sponsored by her mother’s workplace. Olivia exemplifies how a little generosity can go a long way. Each of Feeding America West Michigan’s generous supporters reaffirms its mission and fills an important piece in the puzzle of ending hunger in its service area.